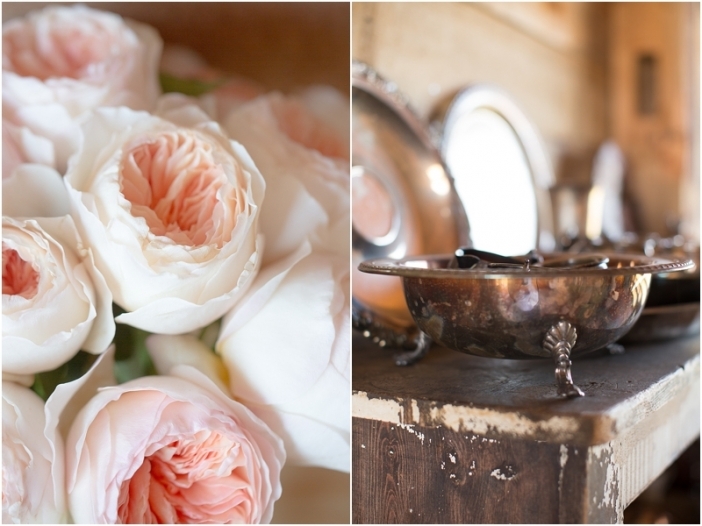 A September wedding On Sunny Slope Farm! Aaaaahhh. What a beautiful day it was for Terri & Paul who celebrated their special day “On Sunny Slope Farm” in Harrisonburg, Virginia…not a cloud in the sky, low humidity and a beautiful 360 degree view of the scenic Shenandoah Valley all day long! “Simple Elegance” is how I would describe the style of the day. 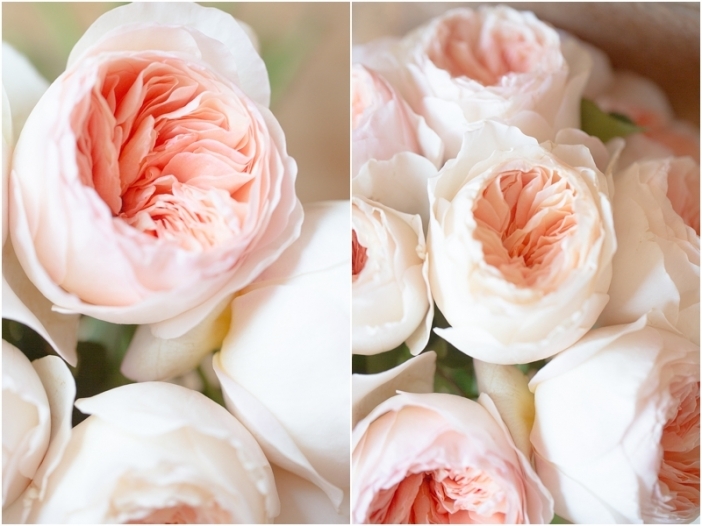 Beautiful blush garden roses with touches of gray, white and ivory. A gorgeous crystal chandelier hung from a large shade tree near the alter complete with soft flowing fabric draping the branches of the tree and flower petals covering the ground. Terri & Paul make the sweetest couple and Terri couldn’t have been a more stunning bride. Although, I have to say that Terri and Paul’s pup, Jack, almost stole the show. Jack is the sweetest English Bulldog that I have ever met with a huge personality! He hung out all day with the bride and groom and actually walked down the aisle with Paul. He even danced to a few songs at the reception! Terry and Paul, you two are such a lovely couple and I want to thank you so much for inviting me to be a part of your special day. I loved celebrating this memorable event with you! I wish you both many wonderful, love-filled and exciting years together! 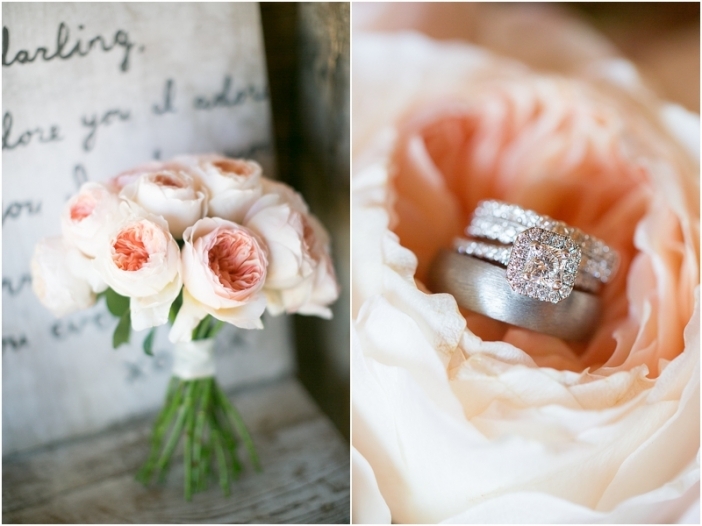 A big thank you to Sarah Goodwin Photography for helping me with this wedding! You are amazing!